Before engaging the services of a consultant, most business owners and CEOs will want to learn as much as they can about the particulars of the client-consultant working relationship. This is especially important when engaging an outsourced CFO services provider, given how closely the CFO will be working with the CEO and the financial executives and staff. Your expectation in terms of this working relationship should be nothing less than the delivery of high-level, transformational financial consulting capabilities from a savvy, experienced financial professional. Your outsourced CFO should understand your business and industry and offer practical, proactive solutions to your financial problems and challenges. 1. Will the CFO be fully integrated into your company? The goal should be to integrate the outsourced CFO into the operations of your business as quickly and as seamlessly as possible. He or she needs to get up to speed fast in order to bring the most value to the engagement. Doing so requires open, honest and ongoing communication and dialog by all parties throughout the term of the engagement. 2. Can the CFO work well in a collaborative environment? Ideally, the relationship between the CFO and the client company should be a collaborative one, with plenty of give and take on both sides. An outsourced CFO who wants to come in as a “hired gun” and work alone or independently is doing a great disservice to the business that hired him or her. 3. Is there a good fit between the CFO and your team? Different individuals and teams have different work styles and personalities. Therefore, every effort should be made to match your CFO’s personality and work style with that of your team members and your company’s overall culture. Your CFO should meet the highest standards for professional conduct and character, and be motivated and passionate about delivering the same level of commitment you would expect from a full-time employee. 4. What are the preferred methods of communication? Communication styles and preferences also differ between individuals and teams, so this should be discussed upfront with a potential CFO services provider. Face-to-face meetings, teleconferences, email, Skype and text—talk about what types of communication will (and will not) be appropriate in which types of circumstances. 5. How will knowledge be transferred between the CFO and your team, and vice versa? At the outset of an engagement, a vast amount of knowledge will need to be shared between your team members and the CFO, so also discuss this upfront. For example, how will sensitive documents and information be transferred back and forth—hard copies or digitally—and what security protocols are in place to protect the information? 6. Can the CFO draw on a broad base of knowledge and expertise? 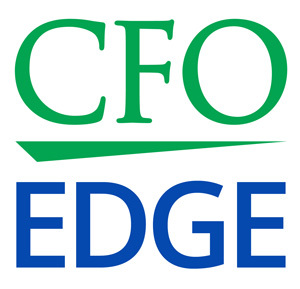 The best outsourced CFO services providers have a deep bench of CFOs with seated CFO experience and proven track records working with companies of all sizes across diverse industries. This enables your CFO to draw on and leverage this collective experience—as well as proven processes, tools and industry best practices—to help solve your specific problems and challenges. 7. What does a successful outcome of the engagement look like? The best time to define success parameters for an engagement is before the engagement begins. This way, everyone has the same end goal in mind and can monitor all engagement activities through the same lens: Is this activity moving us in the direction of our shared understanding of what a successful engagement will be? Every Southern California business is unique, and each has its own unique financial problems and challenges. Therefore, outsourced CFO services are not cookie-cutter—they should be tailored to meet each client’s particular situation. Similarly, the working relationship between an outsourced CFO services provider and the hiring client will be a little bit different for every business. In the eighth article in this series, What Outcomes Should You Expect From a CFO Services Engagement?, we’ll pinpoint specific results and benefits that companies can expect to reap from a CFO services engagement.